These super-realistic heavy equipment was recently shared by LEGO fan and flickr.com user Beat Felber a.k.a. Engineering with ABS who is known for impressive LEGO scale model vehicles. The heavy truck on the left is Euclid R-170, a 170 ton mining truck. According to the description the truck is in 1:28.5 scale and has four different functions. 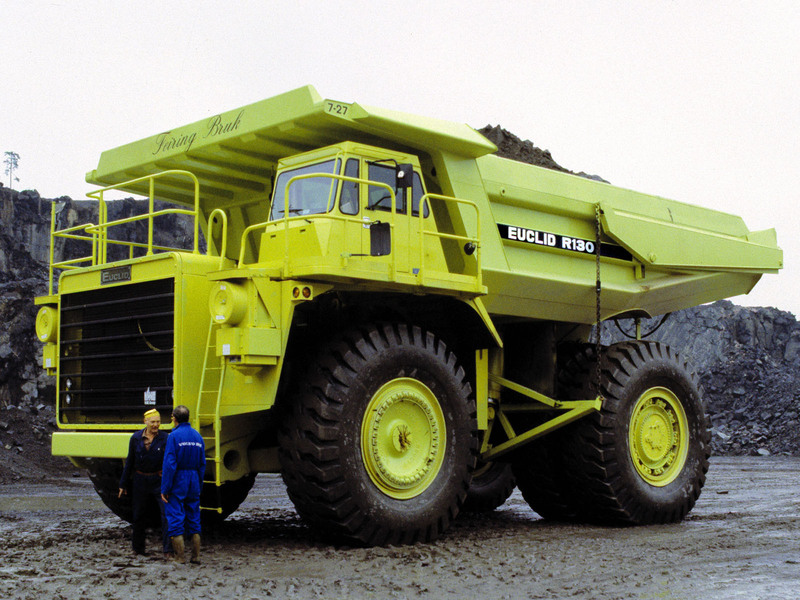 The vehicle on the right is Marathon LeTourneau L-1200 LeTro-Loader, a diesel-electric wheel loader. Again it is in 1:28.5 scale matching the truck and it has six power functions. I really like the shaping of the vehicle they look very accurate to the real ones. Especially the truck looks almost exactly the real one. Combining PF with realistic system designs is always a very hard and Beat Felber accomplished an impressive work ones again. 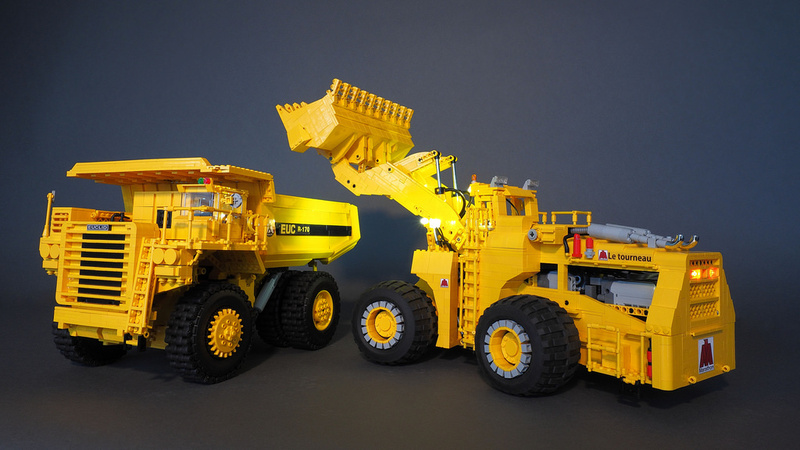 Don't forget to check out the builders photo-stream for many more amazing brick-built scale models.